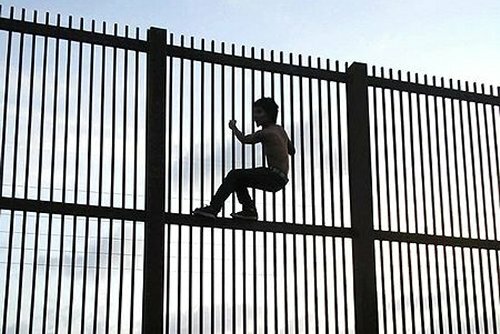 Border wall, Brownsville, Texas. Source: Wikimedia Commons. In August, Donald Trump went to Mexico to meet with President Peña Nieto. The question of why the Mexican leader set up this meeting baffled his few supporters and his many foes, but immediately after a supposedly cordial encounter at which Peña Nieto supposedly voiced Mexico’s concerns about Trump’s racism, the Republican candidate crossed the border to Arizona, where, within hours, he was repeating his tagline. To great applause, he declared: “We will build a great wall along the southern border, and Mexico will pay for the wall. One hundred percent.” Asked in another interview about other foreign visits he might make to inform his policies, he proudly said: “I’ve got no time to travel – America needs my attention now.” But can you pay attention to America while ignoring everywhere else? Except in the most literal sense, no country is an island. Such provincialism is not exclusive to America. In May, two months before he was announced as the UK’s new foreign secretary, Boris Johnson won a prize for the best rude limerick written about Turkish president Recep Tayyip Erdogan. He had previously referred to Barack Obama as a “part-Kenyan president.” This smug, ungenerous rudeness might play well to some audiences at home, but it bespeaks a frightening disregard for the psychic intimacy that statecraft ordinarily requires. The Brexit campaign drew on such jingoism to trivialise Europe’s hard-won peace. Given that most people dislike anyone who dislikes them, one major cost of Brexit is the sacrifice of good will it has occasioned. The unknown and its terrors are the topic of virtually every sci-fi movie and thriller. Brexit makes those countries that were once enemies into the unknown again; its belligerent reclusion invites enmity back into the equation. Trump’s egotism reflects a US egotism; the presumption – or at least the pretence – that the nation holds all the cards. Brexit reflects the same tendency in the UK. Both Trump and the Brexit campaign have exploited the real and urgent vulnerability of the traditional working class, but neither stands to help that demographic. It can feel disorienting to contemplate borders as negotiable rather than fixed. History demonstrates that there are always people who wish to expand their borders to include additional territory, and those who wish to close them to preclude immigration. Old maps reflect constantly evolving political divisions; those territories that coincide with geological formations can have a reassuring aura of permanence, but even these can be breached. Walls seem to take over from geography, and Donald Trump isn’t the only one to contemplate their fortressing singularity. 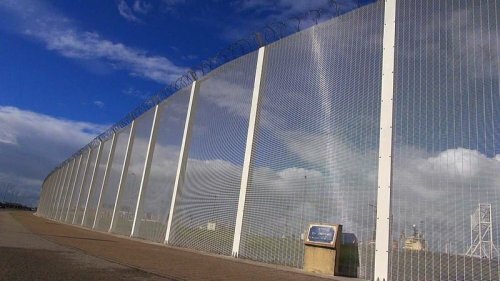 Britain is planning to build “the great wall of Calais,” as it has been named in some areas of the press, in the hope of reducing illegal immigration into the UK, though it seems likely the wall will simply make refugees adopt a more circuitous route. François Guennoc of Auberge des Migrants, a French aid group working in Calais, has said, “When you put walls up anywhere in the world, people find ways to go round them. It’s a waste of money. It could make it more dangerous for people, it will push up tariffs for people smugglers and people will end up taking more risks.” There has likewise been talk of retaining some of the “peace walls” separating Catholic and Protestant neighborhoods in Northern Ireland. And many citizens, post-Brexit, want to build a trade wall (a metaphoric rather than concrete structure) to protect local manufacturing. If every young adult were required to spend two weeks abroad, most of the world’s diplomatic problems might be solved. To which the man next door in the poem can only say: “Good fences make good neighbors.” But history shows that in many instances, good fences make real enemies. Walls are concrete symbols of exclusion, and exclusion is seldom a diplomatic move. When George W Bush was elected to the presidency of the United States, his only travels abroad had been a few beach trips to Mexico, two journeys to Israel, three days in Rome to see one of his daughters in 1998, and a visit to China with his parents in 1975. There are people who are constrained from travel by their circumstances, but Bush had grown up with remarkable privilege and had simply chosen to ignore the world beyond him. 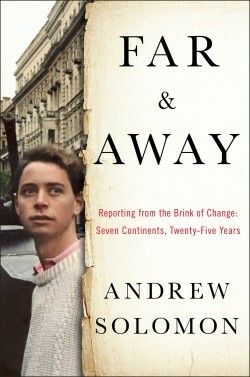 His lack of curiosity was stunning, and his failure to consider travel a prerequisite to negotiating his country’s place in a larger world smacked of arrogance and incompetence: the very characteristics that led him to launch a thankless conflict in Iraq that in turn created a Middle East tragedy without surcease. Alexander von Humboldt, the great 19th-century naturalist, said: “There is no worldview so dangerous as the worldview of those who have not viewed the world.” Too often, policy is determined by just such people. The fence surrounding the port of Calais, France, next to “The Jungle.” Photo: Nicolas Pinault, VOA. Source: Wikimedia Commons. I write this as a dual citizen of the US and the UK. Even translating between these two countries takes a good deal of savvy. Before I moved to the UK in my early 20s, I was enthusiastic about Britain, had British friends in America, and had visited often. I now see that I had no idea what anyone in England thought or felt. I subsequently came to love Britain for reasons other than those that had made me a juvenile Anglophile. But that primary experience taught me how easy it is to suppose you know a place into which you have only superficial insight. The maxim “know thyself” is a good starting point, but if you don’t know anyone else, you aren’t qualified to opine on the world. You can read about a place and meet its representatives, but that is no substitute for going there. Yet cultural and linguistic translation have received short shrift in both the US and the UK. Post-9/11, under Bush, more than 50 Arabic-language translators were fired from the US military on the grounds that they were gay – leaving the government unable to process the vast quantity of information it was collecting from sources. This was a stunning assertion of the primacy of social conservatism over terribly real security challenges. It grew out of a pervasive paranoia about the other – a propensity to wall out difference rather than engage with it. When I visited the CIA a few years ago, a senior official said that the agency policy was never to keep an agent in any given country for too long, lest he develop mixed loyalties. That potential danger was more urgent, apparently, than having someone stay long enough to understand fully the country where he was working. Under the present systems in the US and the UK, diplomats do not stay in any country long enough to know it well; most people in the foreign services move every two to four years. In a gesture of false economy, Gordon Brown closed the Foreign Office language school in 2007, though it was reopened four years later. In April 2012, the Telegraph revealed that: “Just one in 40 British diplomats is fluent in the language of the country where they work, with the majority lacking even [the] basic grasp sufficient for day-to-day exchanges.” Diplomats were quoted as saying that they moved so often that learning the new languages needed to engage with the societies in which they worked seemed pointless. But there is no question that governance and business objectives are realised best by people speaking a common language. 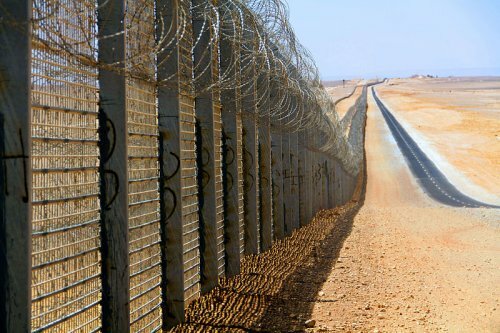 Israel-Egypt barrier. Photo: Idobi. Source: Wikimedia Commons. Of course, travel is expensive, and many people have neither the time nor the capital to visit far-flung lands. They must experience foreign places through art, literature, music, food and film; through the books and journalism of those reporters who receive the dwindling funding to travel and report impartially; through talking to emigrants who have arrived in their societies. Travel is not merely a pleasant diversion for the well-to-do but a responsibility; the necessary remedy to our perilously frightened times. At a moment when many politicians are stoking anxiety, there is new urgency to the arguments for going out and recognising that we are all in the game together. International relations are the province not of governments alone but of entire populations. Travel is both a window and a mirror. You cannot know abroad except by going there, and you cannot know home except by going abroad. How you view your country from inside another one is very different from how you see it from within. Travel is not merely a luxury or an educational strategy, but a moral imperative for those who have the means for it. The British and American streetscapes have become multicultural, and so have the media. People are far more likely to eat cuisines of far-flung ethnicities; citizens of enemy countries play online games together. 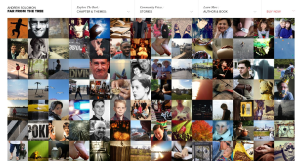 Images of people who are different are pervasive and ubiquitous. Yet, echoing their governments, many citizens have descended into rank mistrust of what is foreign. “If one does not understand a person,” Carl Jung wrote in his Mysterium Coniunctionis, “one tends to regard him as a fool.” Both parties lose in that scenario. In national as in personal relationships, it is easier to resolve tensions when you can figure out what the other is thinking. I came to know the former US secretary of defense Robert McNamara when he was in his 80s. The architect of the Vietnam war had destroyed a country, occasioned a million needless deaths and accomplished nothing for it all. He turned out to be a congenial senior citizen, regretful of the gruesome crossroads of history that he had traversed. He described returning to Vietnam and meeting some of his military counterparts there. The conversation, as he recalled it, consisted of the Vietnamese asking “Why did you do X?”, to which McNamara would say, “Well, because you did Y, which meant such-and-such.” Then the Vietnamese would counter: “No, no, no, it meant the exact opposite of that! But then you did this thing that was clearly an attempt to escalate!” To which McNamara would comment, “No, we did that to try to quiet things down, because we thought you ….” And so on and on and on. 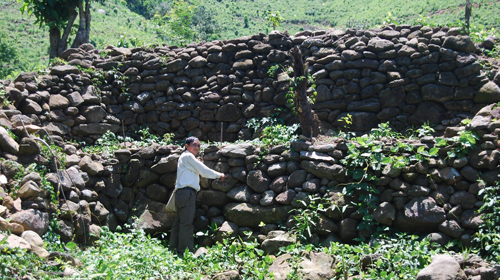 The Long Wall of Quang Ngai. Source: Wikimedia Commons. Visiting the place from which someone speaks often inflects your understanding of what he says. I interviewed Saif al-Islam Gaddafi, son of the Libyan leader Muammar Gaddafi, when I was writing about Libya. Beautifully dressed in a Savile Row suit, eloquent in English, socially well connected and gracious in his grand fashion, Saif was in many ways persuasive. 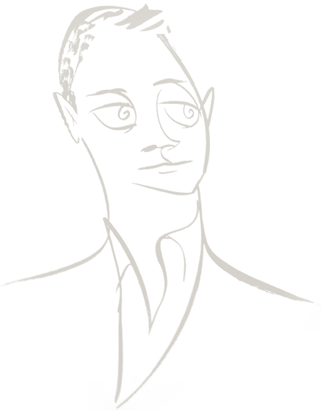 He was also ominously self-absorbed and a patent liar. His buoyant narrative of Libyan life was so much at odds with what I saw and heard first-hand that it almost seemed like performance art. A few years after my visit, I was invited to a breakfast for Saif Gaddafi by a prestigious foreign policy association. After his 20-minute oration, each of us was invited to ask a question. I was astonished by the deferential posture of the interlocutors, many of them seasoned diplomats. When my turn came, I said: “Everything you have promised will happen is the same as you were promising five years ago, and none of it has so far come to pass. On what basis are we to presume that those promises now have merit?” I was admonished afterwards for having been rude to a “gifted statesman” who represented “our best hopes for North Africa”. Saif Gaddafi is now wanted for prosecution by the international criminal court for crimes against humanity, after his disastrous behaviour in the Libyan revolution, during which he announced that “rivers of blood” would flow if the populist uprising continued. A witness can be of more value than a policy analyst. An amateur witness, free of conceptual bias, sometimes sees the plainest truth. One should never be blinded by tailoring. I started traveling out of curiosity, but I have come to believe in travel’s political importance; that encouraging a nation’s citizenry to travel may be as important as encouraging school attendance, environmental conservation or national thrift. If every young adult were required to spend two weeks in a foreign country, two thirds of the world’s diplomatic problems might be solved. It wouldn’t matter what countries they visited or what they did during their stays. They would simply need to come to terms with the fact that there are other places, and that people live differently there; that some phenomena are universal, and others culturally particular. The craven language of scarcity that seeks to guide our aggression and constrict our immigration policies can be defused only when we understand that there are different priorities here and there. Travel, then, is not merely a luxury or an educational strategy, but a moral imperative for those who have the means for it. It is a corrective lens that helps focus the earth’s blurred reality. When I was in Afghanistan in February 2002, a friend arranged for me to speak to a group of three educated, liberal women. They arrived wearing burqas, which they promptly removed, but I wondered why they were wearing them at all. The Taliban had fallen, and the law no longer required it. The first woman said: “I always assumed I would be rid of this thing if times changed. But now I am afraid that the change is not stable. If I go out without a burqa and the Taliban returns to power, perhaps I will be labelled an enemy and stoned to death.” The second said: “I would like to give it up, but the standards of our society have not yet shifted, and if I go out without wearing this and I am raped, they will tell me it is my own fault.” The third said: “I hate this garment and I always assumed that I would give it up as soon as the Taliban was out. But over time, you get used to being invisible. It defines you. And the prospect of being visible again then seems extremely stressful.” So much needs to change within individuals, before a change in society ensues. How can one understand those processes of change except by witnessing them? Building walls, keeping foreigners out, trivialising the delicate peace that has settled on Europe after the horrors of the two world wars, and expressing overt prejudice toward immigrant populations, are all increasingly presented as viable foreign policies and security procedures. This month, the New York Times reported from Copenhagen about Johnny Christensen, “a stout and silver-whiskered retired bank employee, [who] always thought of himself as sympathetic to people fleeing war, and welcoming to immigrants. But after more than 36,000 mostly Muslim asylum seekers poured into Denmark over the past two years, Mr Christensen, 65, said, ‘I’ve become a racist.’” Then he added “Just kick them out”, and aimed a kick at an imaginary target. Julie Jeeg, a law student who fights against racism in Denmark, said: “Denmark is closing in on itself. People are retreating inward.” In Britain, there was a 46% rise in hate crimes in the week following the Brexit vote, and the rate of such attacks has continued to escalate since. If we wish to understand what brings immigrants to our shores, we would do well to make the experience more reciprocal by visiting theirs. If we try fitting in elsewhere, even temporarily, we will be positioned to help people from elsewhere fit in here. “Until we are all free,” the American poet Emma Lazarus wrote, “we are none of us free.” Every voice that is muzzled, every voyage towards understanding that falls prey to jingoistic alarmism, detracts from the collective intelligence on which all of us draw. Peace is achieved through intimacy, and discord through alienation. In 1997, the Burmese Nobel laureate Aung San Suu Kyi asked her friends in the west: “Please use your liberty to promote ours.” Our liberty is contingent on everyone else’s. When nations fail at kindness, they cheat themselves. Fortifying national identity through exclusion is not just bigoted and benighted but also dangerous. When I reported from Gaddafi’s Libya, all of the people I met in government who had an essentially pro-western stance had studied in the US or the UK, while those who were vehemently anti-western had not. In Afghanistan, the people who had talked extensively to foreign nationals were much more open to thinking broadly about their country’s relationship with the west than were those who lacked such exposure. It’s hard to love a place you have never visited. Nations fear one another less wisely when their fear arises from ignorance. Excluding immigrants from “suspect” countries will actually damage our security, by preventing those who would have spoken best of us from finding out what there is to admire here. In the end, xenophobia is a vulnerability masquerading as a fortification. 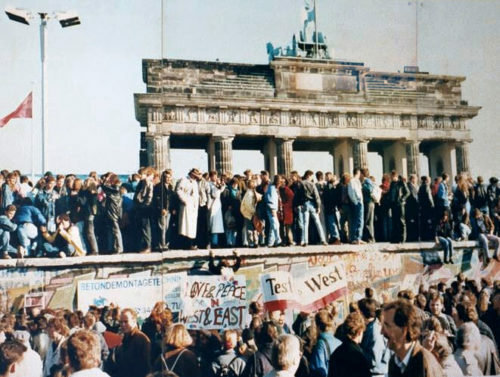 Fall of the Berlin Wall, 1989.